In the West, Twitch is an internet superpower. In Japan, things couldn’t be more different. Mainstream success will be tough, but not impossible. Nothing is impossible. Originally launched as part of streaming site Justin.tv, Twitch carved a unique niche through game streaming. It’s not only a live-streaming pioneer, but with with over one hundred million uniques a month, Twitch is one of the most visited sites online. Last year, Amazon purchased Twitch for nearly one billion dollars. “We are definitely putting a lot of effort into Japan,” Twitch Japan head Victor Denchartphan told me this month via email. “We have recently begun installing our servers directly in Japan and adding much more bandwidth to our site. We plan to continue investing in improving the quality of our service for our Japanese customers as well as continuing to localize content and monetization options.” Denchartphan stressed that this is part of a larger, concentrated Asia push. What’s the big deal, and why does Japan even matter to Twitch? For one, the country has an extremely active, savvy, and creative internet culture. Then there are Japan’s talented gamers. It’s an untapped market. Japanese consumers are some of the pickiest in the world. They know what they like and what they don’t. And when they like something, they really like it. Even foreign brands and companies get absorbed into the collective subconscious to the point that they’re no longer thought of as “foreign” or “different.” When today’s Japanese see KFC, they don’t think American fast food, they think KFC, the chain that they love and have even made part of their Christmas traditions. So, doing well in Japan would be very, very good for Twitch. But streaming in Japan is not the same as in the West. As Denchartphan explains, “Where esports and PC titles are dominant in terms of broadcasters and viewers in the western regions, Japan has a stronger focus on mobile games, as well as console and arcade.” The intrinsic issue then becomes that the majority of the content on the Twitch homepage is esports and PC games. It’s certainly not Twitch’s fault, but the streams on its current landing page just might not appeal to many Japanese gamers. That’s a problem. It’s not the only one. Even if Japanese people have heard of Twitch, they might think it’s somehow related to… Twitter. As English speakers, we know that “Twitter” refers to the the verb twitter, and that, yes, there is a word “twitch.” For Japanese speakers, these words are simply foreign sounds. The fact that they are foreign words is not a problem, as the entire Japanese language is comprised of seemingly innumerable foreign words. It’s that these two words seem similar. The confusion makes more sense in Japanese. “Twitter” is ツイッター (literally, Tsuittaa), while “Twitch” is ツイッチ (Tsuicchi). But maybe not. People seemed just as baffled when writing them in English. Here are Japanese Twitter users either wondering if Twitter and Twitch are somehow related or pointing out that they are not. This is a branding issue, and this confusion is somewhat out of Twitch’s control. But this is also what it’s going up against. Twitch’s TGS booth, however, did a good job of succinctly explaining what the platform is with a clear, and easy to understand Japanese tagline: 簡単!! 無料!! 高画質!! (Simple!! Free!! Hi-Res!!) I wish the Twitch website were so easy to follow in Japanese. If you are not an English speaker, Twitch’s site is somewhat tricky to navigate. (In fairness, Twitch’s site is tricky to navigate in any language.) As of this writing, when I load the site in Osaka, Japan, the site’s default is English (I tried this on several different browsers and several different computers, and Kotaku’s other Japanese-based writers Toshi Nakamura and Richard Eisenbeis also experienced the same issue). A Japanese person seeing Twitch initially load with the wrong language might not think this is the site for them. Right there, you’ve lost them as a user. Once you’ve loaded the site, you have to hunt around for the language settings, and things are already getting somewhat involved. Once you do get the page into Japanese, many of the notices and messages are still in English. Single English words do appear all over Japanese sites and on Japanese products. That being said, this is a lot of English to throw at a Japanese viewer. Of course, the majority of the streams are in English, too, and that’s simply reflective of the majority of its users. I honestly think that’s less of an issue, compared to the language on the actual website. Unless the Japanese user was comfortable dealing with English (many people are not! ), the experience could be off-putting. Why bother when there are easier and more familiar options? Twitch’s prospects in Japan are further complicated by Niconico. Launched in 2006, Niconico is one of the Japanese internet’s main arteries. Like Twitch, Niconico does game streaming. A recent Super Mario Maker stream, for example, had over 400,000 people tuning in. There are countless streams of all sorts of games—though, console games and smartphone games are most popular. But, of course, you can find Minecraft streams and more, just like on Twitch. But unlike Twitch, Niconico has a wide breadth of programs: You can watch professional baseball games, new anime episodes, sumo, Japanese chess matches, talk shows and more. There’s the game streaming, the live-chats, and people who show off cool things they’ve made. You can also see major rock stars stream smartphone games, celebs like Beat Takeshi speak their mind, and even Niconico-hosted national debates with politicians hoping to become the next Prime Minister. With Niconico, you feel like you can completely unplug from television, and still get a stream of varied, real-time programming, in a way you can’t quite yet get on YouTube. It’s one-stop shopping for all your internet viewing habits. Well, nearly all of them. Heh. Yes, in the top right corner, that’s a 48-hour live stream of hamster butts. With over 50 million registered users, Niconico’s prescience isn’t just formidable in Japan; it’s staggering, especially when you remember Japan’s population is 127 million. (Niconico does have two types of accounts—standard and premium with more features—but out of the 50 million registered users, only 2.5 million are premium accounts, which can be set to ad-free.) According to Niconico, as of this March, ninety percent of Japanese people in their twenties have an account. Think about that for a moment. Ninety percent. One of Niconico’s most appealing features for Japanese net users are comments that stream across each video. The comments can be can be turned off, but most Japanese people leave them on. During especially exciting, funny, or interesting moments, the comments can cover up what’s happening on screen. Again, this is part of the appeal. You can pinpoint moments in a way that isn’t quite possible with traditional commenting systems. Here, you can see when Tokyo was announced as the location for the 2020 Olympics and how Niconico viewers reacted. Online in Japan, there seems to be a greater emphasis on comments, even compared to the West. Countless Japanese blogs simply copy over 2ch threads and highlight funny or insightful comments, adding zero commentary of their own. Within this net culture, Niconico already has an edge. Comments are king. I’m not convinced. Niconico’s founder, Nobuo Kawakami, is a producer at Studio Ghibli (which could explain that rumor about Niconico’s parent company, Dwango, taking over Ghibli). Back in late 2013, Nintendo bought a stake in Dwango stock, and, as AV Watch reports, Nintendo has been supporters of Niconico’s big fan event, Chokaigi, which is kind of like Japan’s version of PAX. Dwango also owns the game developer Spike Chunsoft, the studio that makes Danganronpa and Pokémon Mystery Dungeon, and is also part of a conglomerate with Kadowawa, one of Japan’s biggest entertainment and publishing companies. In one shape or another, Dwango will be around for a long while. That makes competing with their subsidiary Niconico that much more daunting: Twitch isn’t just going up against a huge chunk of the country’s established internet, but the Japanese establishment. For someone like Porter, who introduces Japanese games and even teaches the language to his audience, Twitch is a place where he can carve out his own niche. And though the game streaming world is getting increasingly crowded, Twitch does seem to be a place where Japanese indie developers can get more international attention for their games. However, as of writing, Twitch still doesn’t seem like it offers much to the general Japanese gaming public. The games they play aren’t there, and so much of the content isn’t in the language they use. If you are Japanese and, say, really into a Western title like Destiny, then you will probably love Twitch. But if you are into homegrown mobile or console games, like the vast majority of Japanese gamers, you’d be better off on Niconico. This is no easy task. A quick look at Twitch Japan head Denchartphan’s Twitter shows photo after photo of him hanging out with Japanese gamers in arcades. Twitch Japan is streaming tournaments. With the cards he’s been dealt, it seems like Denchartphan is trying to make the best moves possible. I asked about Twitch’s competitors in Japan, and he offered this diplomatic response. For thousands of years, the people of Japan have taken things they like or need from the outside world, reconfiguring them as their own. When the country didn’t have a written language, it borrowed one from China. When it didn’t have a religion with a strict moral code, it absorbed Buddhism. This is Japan’s modus operandi. So if Japan needs Twitch to fill a niche, it’ll use Twitch. If not, it won’t. 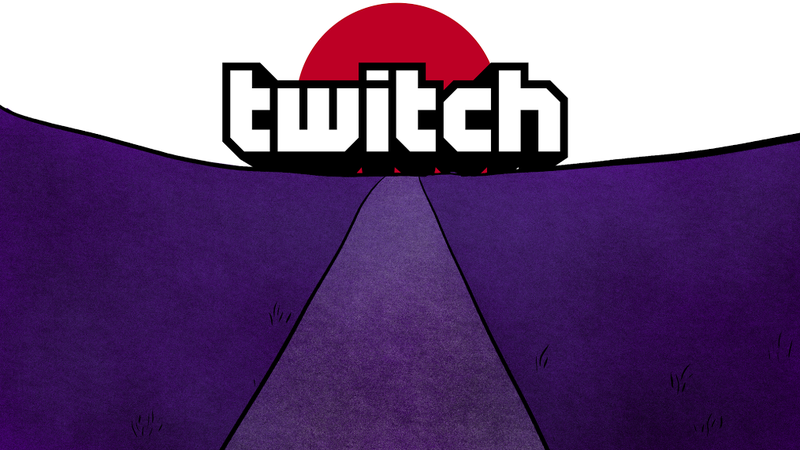 It won’t be easy for Twitch to find their footing in Japan. It’s going to be an uphill slog. So much of Japanese internet culture is already entrenched, dominated by established names like Niconico and YouTube. Japan has its own net culture. Twitch doesn’t just need to figure that culture out; they need to join it. The people I’ve talked to at Twitch Japan seem smart and hungry. But so are the people at Niconico and YouTube. Right now, I wonder if Twitch can find a foothold in Japan, but I’d never underestimate them. They certainly do have their work cut out for them.